Spicy and sweet in a single ingredient, a spicy jalapeño pepper syrup is a fantastic way to heat up your favorite cocktails. This homemade simple syrup is very easy to make, can be adjusted to be as spicy as you like, and is a foundation for other chili pepper-infused syrups. This particular recipe pairs a sweeter sugar with the spicy peppers and it tends to work out quite well. Turbinado and demerara sugars are also known as 'raw' sugar and they have a richer flavor than standard white sugar. They are the ideal foundation against the spice of chili peppers. Also, to combat the spice of the jalapeño, this is a rich simple syrup, meaning it uses twice as much sugar as water. By keeping the ratio sweeter and using the darker sugars, the syrup is not as spicy as you might think and that is why we love mixing this with our drinks. Add the sugar and water to a saucepan over medium-high heat and stir constantly until the sugar is dissolved. Slice jalapeños lengthwise and add to the pan. Reduce the heat to a gentle simmer, and simmer for three minutes. Strain through a fine mesh strainer to remove all of the pepper. The syrup should be bottled in a glass container with a tight seal and stored in the refrigerator. It will keep for about two weeks. You can scale the recipe down and use just 1 cup sugar, 1/2 cup water, and 1 pepper to get a yield of just 1/2 cup to play around with. If you like, you can also use regular brown sugar (turbinado and demerara are both brown in color) if you like. However, it would be best to mix that with an equal part of white sugar so it doesn't get too sweet. Whenever you are making drinks with hot peppers, it's important to remember that less can be more. If you create a syrup that is too spicy, even the sweetest drinks with the most flavorful mixers can become too hot to enjoy. More than any other homemade simple syrup, you do need to test this syrup throughout the process. As soon as the syrup reaches your desired flavor, strain out the peppers. Remember that the capsaicin of chili peppers (the part that produces the most spice) is held in the white flesh inside. If you expose this to the syrup, it will produce more spice. To create a milder syrup, don't cut the pepper and place it whole in the syrup. The infusion may take a little longer but will be more savory than spicy. If you do want more heat, slice the pepper as directed in the recipe. Different pepper varieties are hotter than others and even two jalapeños can vary from one another. Even if you make this syrup twenty times, you will need to test the spice throughout each because it could vary from the last batch. Épicé is French for "spicy" and the Sidecar is a classic cognac-based drink and the Épicé Sidecar cocktail is a mix of those two elements. 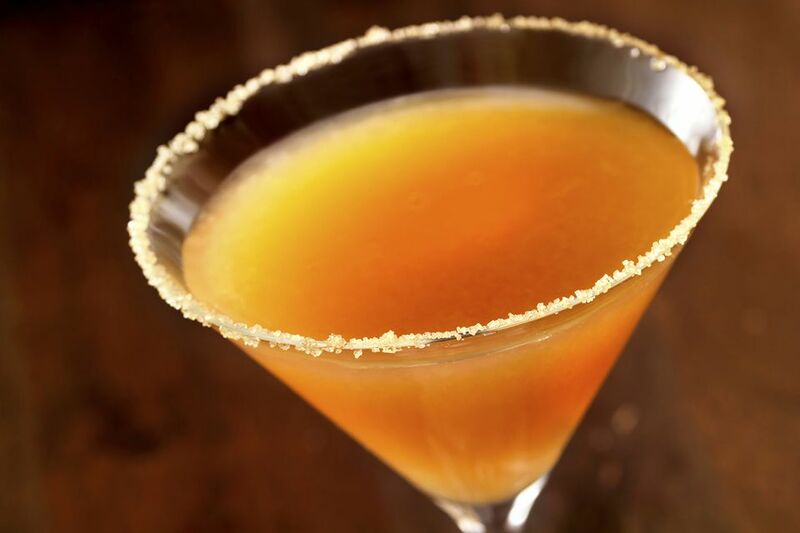 It was created by David Brenner of New York and is a fantastic drink to mix up with your new syrup. Brenner's recipe has a perfect balance of flavor and should be tried as written at first. The jalapeño syrup is a great addition to the fruits, adding just a touch of spice that makes this drink very impressive: add too much and you will burn the drink's flavor. To make the drink, mix 1 1/2 ounces cognac, 1-ounce fresh pineapple juice, 3/4 ounce fresh lemon juice, and 1/4 ounce jalapeño simple syrup. Shake the ingredients and strain into a chilled cocktail glass that has been rimmed halfway around with raw sugar. Other cocktails to consider for your syrup include adding a little sweetness to a Tequini, Margarita, or the gin-based Hair of the Dog. If you're feeling adventurous, pair the spice with chocolate in a Chocolate Martini or with heavily-flavored fruits like pomegranate. If you enjoy the jalapeño syrup, continue to explore the spicy-sweet combo with other peppers and don't be afraid to add extra flavors. Chipotle-Orange Syrup. The chipotle pepper is a natural companion for a little citrus. It is used in a cocktail called the Fall Spice Cordial, which pairs it with bourbon and vanilla though you will find it useful in a variety of other whiskey cocktails as well. Serrano-Mint Syrup. The Sweaty Hipster is a fun tequila cocktail that's a bit like a Margarita. The serrano-mint syrup is an interesting contrast of spice and cooling herbs that are most interesting and quite fun. Should you want to skip the mint, a straight chipotle syrup is a fantastic option and it pairs wonderfully with chocolate. Ginger-Habanero Syrup. You can add a very interesting twist to spicy syrups by pairing two spices. In this case, the habanero pepper and fresh ginger team up for an interesting syrup that can transform your Mojito into a pomegranate-based drink called The Chadwick.